DHA Peshawar balloting rumors | Analysis and price expectations. DHA Peshawar has announced the final balloting date on 25th Dec 2017. Book your files now call us at 03331717170 or 03111777555. Conclude 100% guaranteed safe transactions with imlaak. DHA Peshawar is one of the latest projects of Defence housing authority and the only one in the entire province of Punjab. Ever since its launch it is considered as one of the prime and most lucrative among most of the other DHA Projects. For a long time we have seen the prices of the files in Peshawar trading around 50 to 52 Lacs. However all of this is about to change as the rumor has it that the balloting and development of DHA Peshawar is just around the corner. 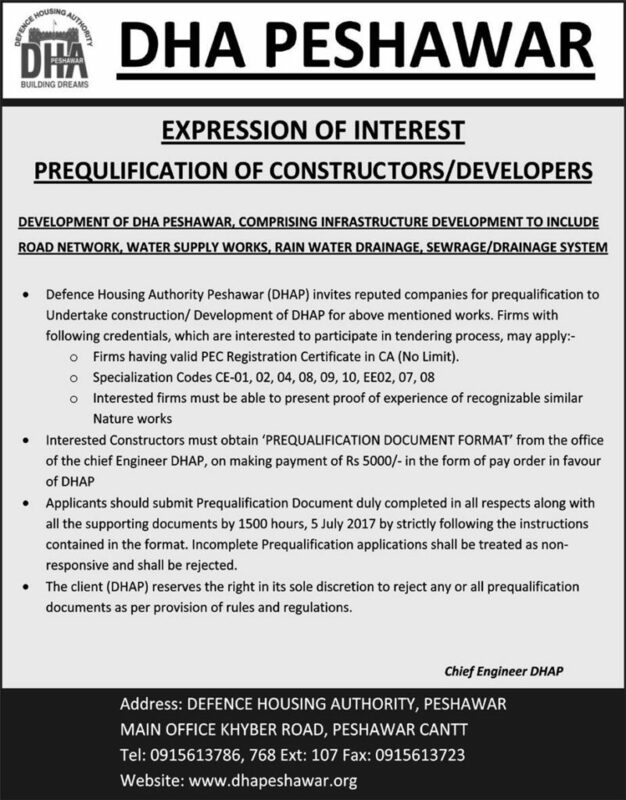 One of the major development in this regard is the add published in news paper just before Eid-ul-fitr by DHA Peshawar authority requesting tender for development work. DHA Peshawar balloting rumors are now fast becoming a reality and we may see a swift rise in the prices of DHA Peshawar files for sale. If you want to buy DHA Peshawar file call us now at 03 111 777 555 or 0333 1717170. Since feb of 2017 we have been suggesting you to buy DHA Peshawar files as it is reaching ripening stage. Let us take a brief look at DHA Peshawar, it is located on one of the most best locations in Peshawar and is surrounded by some major societies. Located near Nasir Bagh road close to Askari VI Peshawar and other societies like Yaseen town Peshawar, Hafiz town and runs parallel to Regi model Colony. 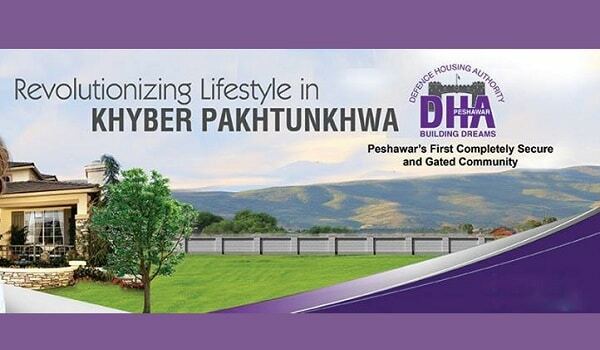 One of the most important things to remember is that this is the only DHA project so far in the entire KPK. DHA Peshawar balloting is much awaited as the prices have remained stagnant for a very long time. Are the winds of change finally here and is this time for DHA Peshawar to deliver its promise?. The answer to the above question seems more likely to be yes than a no. 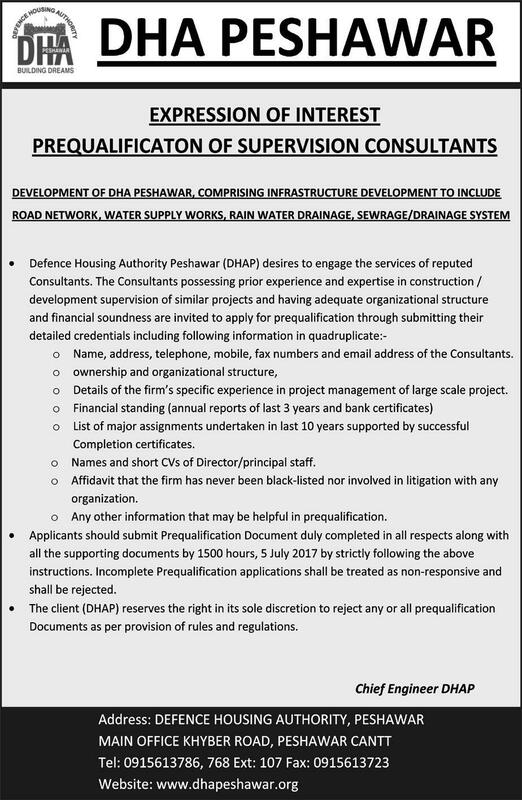 According to confirm sources DHA Peshawar will roll out its master plan in next month or so and will also hold the balloting concurrently. The complete plans are ready and the only delay is just about finalizing the right date. In the next few months it will be a hotbed of investment from all over Pakistan and the wisest investment choice you can make today. We have started a timeline of events on our DHA Peshawar section of the website so you can remain on top of the latest news and happenings. Let us now see how balloting in DHA Peshawar will play out in terms of investment. The balloting is expected to happen any where from August to December. 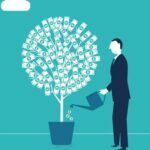 So most importantly do not wait any longer if you have the investment right now, i will suggest that you buy it as earlier as possible before the prices shoot higher. As of today the price of 1 Kanal file is at 51 Lacs and it is expected to go towards 65 to 70 Lacs before balloting. This will be a sharp rise as soon as the balloting date is announced and it will be hard to buy a DHA Peshawar file at that time. In addition we will also not suggest you to purchase a file at that price. It is much better to buy a plot in DHA Peshawar rather than purchasing a file at 65 to 70 lacs. You also need to know that even if balloting is delayed beyond 2017. 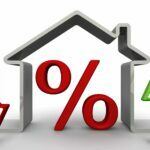 You donot need to worry as the buying price of today has established itself as the minimum base price. So in general the prices will go higher sooner or later. Although the chances of such a happening are even lower than 1% in my opinion. We will keep updating you more about the DHA Peshawar as it happens so remain tuned. Where to Invest PKR 40 million in DHA?